In front of many local hair salons, signboards reading “Welcome foreign guests” and “We speak English” are put up, as a large number of foreign tourists seek to have their hair done while staying in Korea. The outlanders search for a proper glint of “K-style,” while experiencing premium service from head to toe. All-in-one beauty parlors in Korea offer full beauty service, from haircuts to makeup and nails. From the point of walking in, customers are continuously offered to have some beverages and snacks. Around three staff members will welcome a single customer, devoting their time to the person for the next two to three hours. Customers are complimented with massages, starting from the scalp to the shoulders, neck and even the hands. While going through hours of endurance and patience, they are entertained by fashion magazines and small talk from the staff. When paying, cashiers will check if the customers are fully satisfied with the service, asking some questions regarding the staff. As the customers leave, the staff will see them out to the door, while catching an elevator in advance for them. 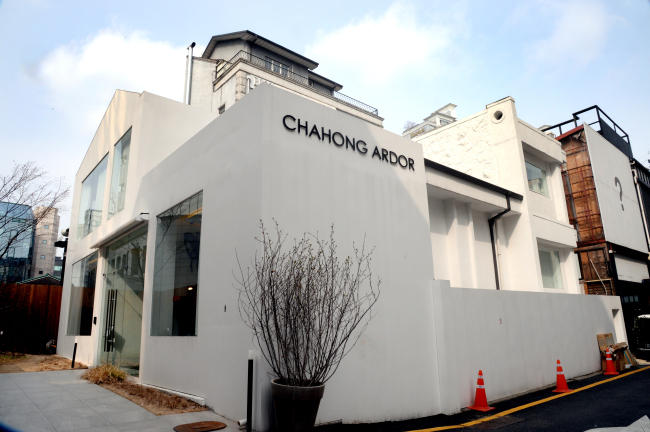 Chahong Ardor is one of the all-in-one beauty salons in Korea. Many foreign tourists visit the three salons in Cheongdam-dong district of Seoul, as the beauty chain is recognized for its high-end techniques and services. “It’s all about being delicate. When doing a perm, Koreans will take care of every inch of hair. We touch even miniscule parts,” Cha Hong, the chief designer told The Korea Herald. “It, however, is not just about the skills. We train the staff for nice services, through emphasizing the importance of personality and characteristic,” she added. According to the designer, many foreign professionals visit Korea to learn more about running a hair salon. She operates an academy to train professionals in and out of Korea. The successful designer’s service attitude is exceptional. She wears only black outfits when working to let the customers shine. When she started to work, she used to read a wide variety of books to properly communicate with her customers. “Customers never describe their fashion preferences, small habits, professions and relationships with others to the hair stylists at once. But these factors all matter when styling hair. There comes the importance of making good conversation,” Cha Hong said. Through communicating, she was able to understand the customers more and satisfy them. Apart from meeting the needs of each customer, the beauty guru focuses on the search for overall trends. The celebrated hair stylist agrees that Korea’s beauty salon industry is exceptional, once again highlighting its delicate service mind.